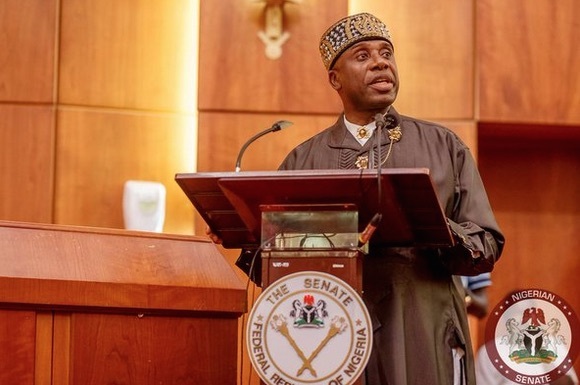 On Friday, President Buhari announced that due to financial constraints, there may not be 42 ministers, as was had in the last administration. In the aftermath of this statement, some ministers-designate have promised to work for free if Buhari is unable to pay them. Scam. This politician has succeeded in emotionally blackmailing Nigeria into Stockholm syndrome. How much would their salary be? There’s no such thing as a free lunch so I believe they must get paid if Buhari hopes to disincentivize corruption and abuse of power amongst his cabinet members. I’m trying to stay hopeful because Nigeria is my home. But to be honest I’m not confident our president has a vision for steering the nation out of the tough times we’re in. Also how can one sit on the cabinet if not a substantive minister? There’s a whole lot of confusion going on. 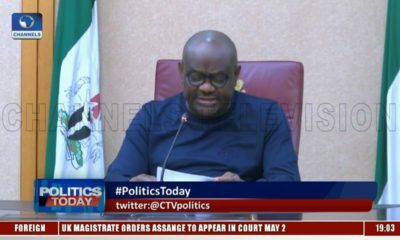 In the 4months it took to assemble his ministerial nominees perhaps Mr. President could have brought up these issues for discussion with the legislature and/or the Nigerian people? I’m just tired. Just a thought. Maybe he wants to follow the State Government model where SSAs are part of cabinet meetings. Also, like how there’s no Commissioner, Lands Bureau in Lagos State. The highest post is the Permanent Secretary, Lands Bureau. The Perm Sec is part of cabinet meetings. Better still, the UK Cabinet Ministry model where the Chief Whip attends (+ others who aren’t Secretaries/Ministers of State) and under Blair, his Director of Communications attended. Currently/since May, BoJo attends even though he’s still the Mayor of London for the next one year and is an MP (won in May) but will take his place once his mayoral role expires. Hi @Confuzzled, don’t think too much…clearly he doesnt have plans. However, for this total gibberish been spewed as News, we don enter another one chance with this type of ministers. assif d one wey we bin enter with PMB neva do. In OBJ’s voice ‘ I siddon dey look’. 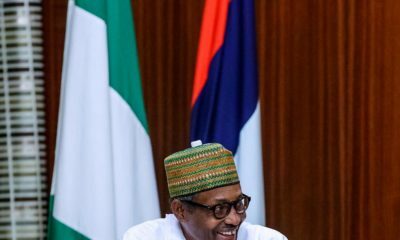 Story why them no go work for free, all the money them steal from nigeria go reach to sustain their 10th generation bastards. Any politicians wey steal from nigeria na cancer of the brain go kill them all na my prayer for them be that. Choi. Nigeria is in trouble! Ministers are civil servants kwo? How much is the salary of the most snr. civil servant? The devil is in the allowances and other etc etc. This propaganda should stop pls. Enough already. Now we are talking. Buhari has never run for anything. So, the man is clueless and just fumbling along.. Talking anyhow. Those two disaster he appointed as media aides are just as clueless too. We go chop propaganda belleful..
BN, where is the post on Senator BB’s twitts on stopping the blame game? This is change. Embrace it. Working for free whilst government funds your expenses and lifestyle confuses me in Nigeria. In case I don’t get it, I would say fair enough cos most of this guy’s can actually pay government! I congratulate any one who will genuinely work for free. 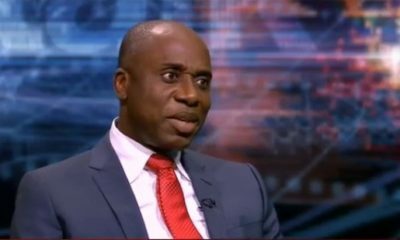 “Amaechi, Shittu & Other Ministers-Designate Promise to Work for Free if Buhari Can’t Pay Salaries” ALL I CAN SAY IS YEAH RIGHT!!!!! !